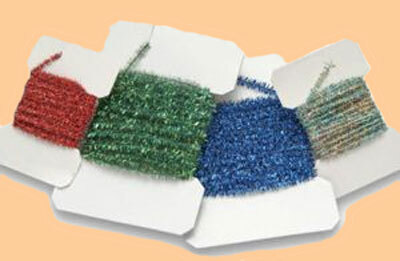 Crystal Chenille made of flashabou material woven into a dyed core. It is translucent and sparkly, continually reflects and refracts light. Great for Leech patterns, crystal buggers, and attractor style flies. Three Sizes: 1mm, 2mm, and 3mm. * Only available in 3mm. See Color Chart.